Aww, she is too cute! hahahah! how cute! i love her "mad" face! I love the angry face! OMG sooo funny! I seriously love her wake up look. She is so CUTE! I wish I live closer ,me and my camera lens would be all over her! That is too cute! 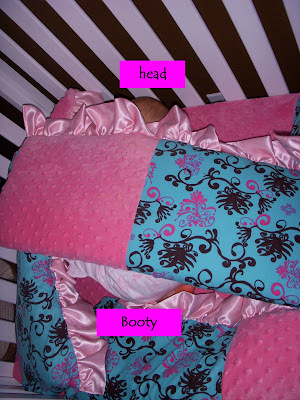 My kids sleep weird, too. LOL, this is precious, My monkey loves to sleep with toys and books, she'll have book impressions left on her face from where she slept on them all night, so weird. Maddison is just too cute. Oh, my gosh! That is hilarious!! lol. Your girl is too cute. Thanks for stopping by the blog today and leaving such sweet comments. :) I love connecting with other mommy bloggers.